EL-QUNEITRA /Syria/, October 26. /TASS/. 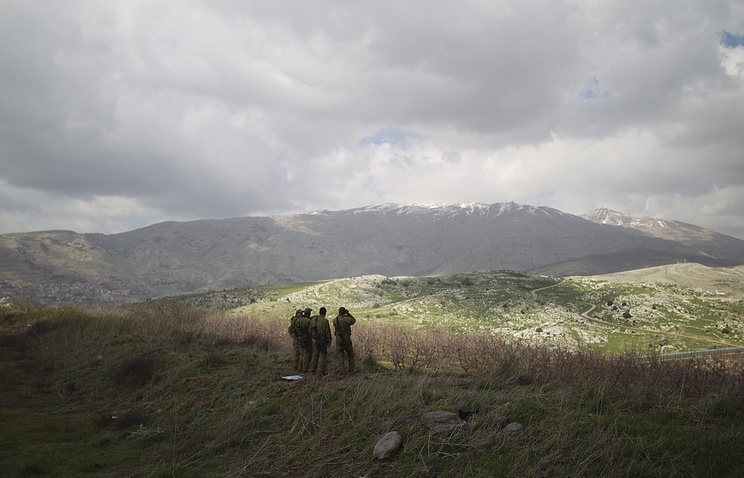 The Russian military police and a UN mission have conducted their first joint patrol of the Golan Heights region at the Israeli-Syrian border, Deputy Commander of the Russian Forces in Syria Lt. Gen. Sergei Kuralenko has told reporters. "The Russian military police have been patrolling the entire demilitarized zone for a long time, but the joint patrol [of the territory] to the south of the Quneitra crossing took place for the first time today," he told reporters on Thursday evening. "Today, the Russian military police are ensuring the safety of the UN team on the mission." "In the future, we plan to carry out a joint patrolling mission directly to the southernmost end of the demilitarized zone," Kuralenko said. On October 15, a ceremony to hoist the Syrian national flag was held on the Syrian side of the Quneitra crossing, separating the Syrian and Israeli forces at the Golan Heights. The conditions for the Syrian side to resume operations of the border crossing emerged after the government forces regained control over the southern areas and the UN peacekeepers returned to the line of separation with Israel. Later, a part of the territory and the town of Quneitra were returned to Syria on the condition that the territory would be demilitarized and a UN mission would be deployed there. The UN mission, accompanied by the Russian military police, has for the first time ever entered the region from the territory of Syria since the start of the Syrian conflict earlier this autumn. Prior to that, UN forces headquartered in the capital Damascus had to enter the area via the Lebanese border, because the Syrian part of the demilitarized zone was controlled by militants.